"A fascinating tale of two cities told through the rise of two of Atlanta's most illustrious political families...highly significant in what it reveals about ambition, hard work, success, and race relations. "David Levering Lewis. Gary M. Pomerantz is an author and journalist and serves as a visiting lecturer in the Department of Communication at Stanford University. 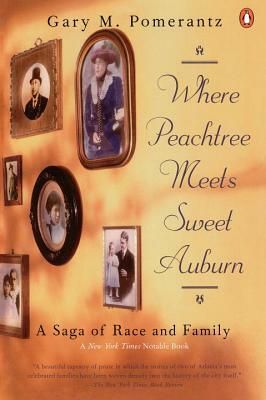 His first book, Where Peachtree Meets Sweet Auburn, was named a 1996 Notable Book of the Year by The New York Times. He also earned acclaim for Nine Minutes; Twenty Seconds; and Wilt, 1962. A graduate of the University of California, Berkeley, Pomerantz lives in the San Francisco Bay Area with his wife and their three children.